WHO: My mom and me! TYPE: Destination wellness resort and spa. ROOMS: 117 casita-style rooms, suites, and villas spread across six villages. Style incorporates the surrounding desert landscape and mountain views with modern touches and sustainable products. POOL/GYM: There are three pools located on property, all for different purposes: a salt-water rejuvenating pool, aquatic lap pool, and a healing bodywork pool. The gym is extensive, as this is where they host multiple activities each day, each targeted at different levels of activity and experience. The activities on property include TRX Endurance Circuit, Cardio Drumming, Davinci Body Boards, Yogilates, Zen Boot Camp, Aqua Power Barre, to name a few. RESTAURANT: Each meal is served at the Cactus Flower Restaurant, which features indoor and outdoor seating. The theme is healthy, locally sourced ingredients creating offerings that are nutrition-focused, yet delicious. The Palm Court features freshly created smoothies, juices, and other coffee beverages. BAR: Brave Bill Lounge features cocktails and a light bite buffet offering each afternoon. There is always a drink of the day authentic to the local area, paired with a drink menu full of additional offerings. Since there is so much to do and see each day the bar has a quiet and relaxing feel with guests reading books, reflecting on the day, or spending time with their travel companion before retiring to bed early. VIBE: Luxurious healing, leaving you emotionally and physically balanced and self-discovered. SPA: Miraval’s Life in Balance Spa, named on Conde Nast Traveler’s 2013 list of Best New Spas in the World, is just that – the best. The tranquility felt as you begin in the relaxation room overlooking the mountains or moving into one of their indoor or outdoor treatment rooms sets the scene for an extraordinary experience. Offering traditional massages and facials to Body Renewal Rituals, Ayurveda, and Acupuncture, Miraval’s spa offers award-winning spa treatments you can only find here. WIFI: Complimentary wi-fi available throughout the property. KIDS: Leave them at home. Miraval allows guests 14 years of age or older, but guest aged 14-17 must be accompanied by an adult 18 years or older. LOCATION: About 45 minutes from downtown Tucson, Arizona, set against the Santa Catalina Mountains in the High Sonoran Desert. A thirty mile drive from Tuscon International Airport (TUS). Miraval began in 1995 with the dream to become something special. They have certainly achieved this, creating one of the most unique experiences for guests visiting for a variety of reasons. I have to think most every guest leaves having found what they were seeking. 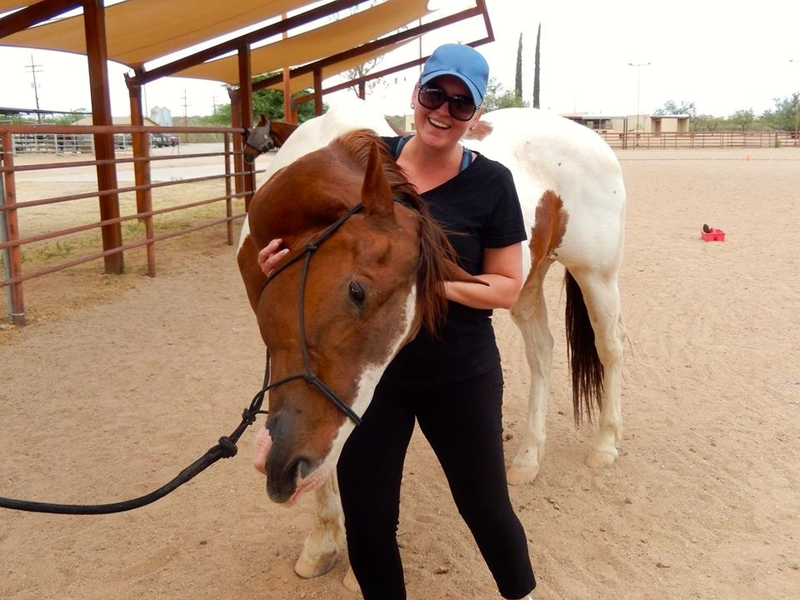 Personally speaking I had one of the most profound experiences of my life - from deeply connecting with their resident Intuitive, Tepal, to breaking down personal boundaries through the Equine Experience. Miraval opened my eyes to a new way to experience a destination. It is important to note: while this is a popular destination for girls trips, couples celebrating milestones, and other combinations of travelers, most of the guests, along with myself, were having deeply meaningful experiences. This wasn’t at all what I had expected for a spa experience, and I was very happy about that. Visiting guests should know this is really about an opportunity for a mindful encounter with yourself and your other travel companions in a physical, spiritual, and social way. There are no strict programs or itineraries to follow, which allows each guest to tailor their stay specifically for them. There are so many amazing speakers, activities, and things to see and do it motivates you to make the most of your time. Another item of note: Miraval has a cell phone usage policy to enhance guest’s experience. Mobile devices are required to be on “silent” mode and only be used in two designated areas.